NEWPORT NEWS, Va., Aug. 24, 2012 (GLOBE NEWSWIRE) -- Huntington Ingalls Industries (NYSE:HII) announced today that its Newport News Shipbuilding (NNS) division opened a new, 65,000-square-foot facility, called the Supplemental Module Outfitting Facility (SMOF), to facilitate the Virginia Class Submarine (VCS) Program's two-submarines-per-year build plan. 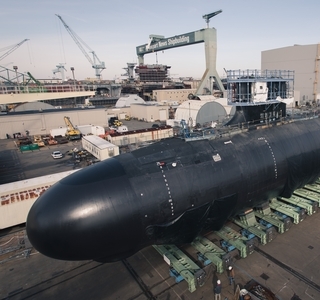 "In 2011, Congressional approval to move forward with the two-submarines-per-year build plan was achieved," said Chris Miner, NNS' VCS Program director. 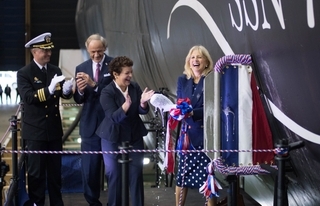 "This facility is a reflection that we've arrived, and we look forward to working with our partner, General Dynamics Electric Boat, to improve upon and increase the pace by which we equip our Navy with Virginia-class submarines." 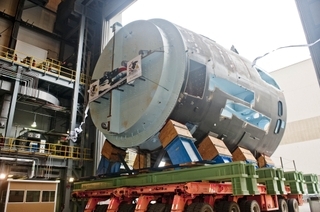 The SMOF, which cost about $100 million, will be used to supplement the current Module Outfitting Facility (MOF) in building large modules for Virginia-class submarines. It includes four main bays for construction, as well as 17 specialized work spaces, offices and areas for lunch breaks. Partitioned rooms will supply space for machine tooling and other services within the same building, and flex rooms will offer quiet spaces for crew meetings, safety talks and conferences. Supervisors will also have access to portable offices on the shop floor, providing direct communication to employees. "Employees are excited for the improved quality of life and easy access to services and materials," explained test electrician Dale Zink, who will move from the MOF to the SMOF. "Productivity is going to go up because there will be access for better communication from supervisor to employee because of the new layout." To improve productivity, the facility has two new cranes that can move the entire length of the facility and are capable of lifting up to 20 and 120 metric tons, respectively. Additionally, the SMOF is equipped with new fixed and re-configurable staging that can be easily positioned to the submarine modules. 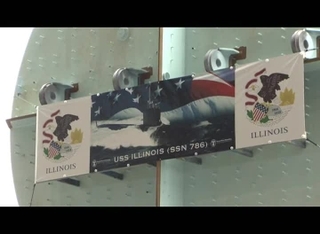 The U.S Navy's newest class of attack submarines, Virginia-class submarines use advanced technologies to increase firepower, maneuverability and stealth. The 377-foot-long submarines are capable of submerged speeds of more than 25 knots and can stay submerged for up to three months at a time. 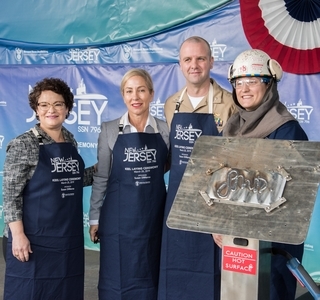 Through a partnership between NNS and General Dynamics Electric Boat, this program has been recognized as the best shipbuilding program in the Navy and one of the best acquisition programs in the Department of Defense.